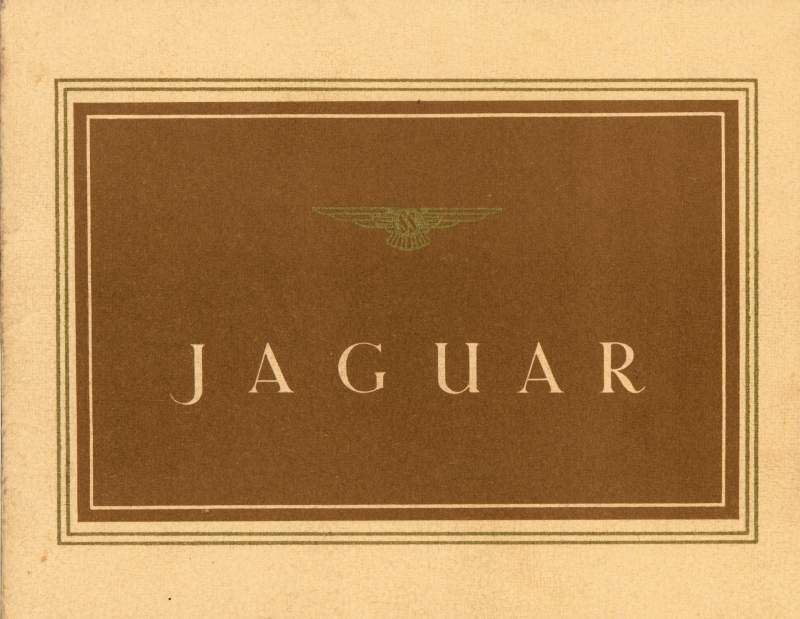 This catalogue with beige covers, probably printed in late 1944 or early 1945, may be one of the rarest of the early Jaguar name catalogues. 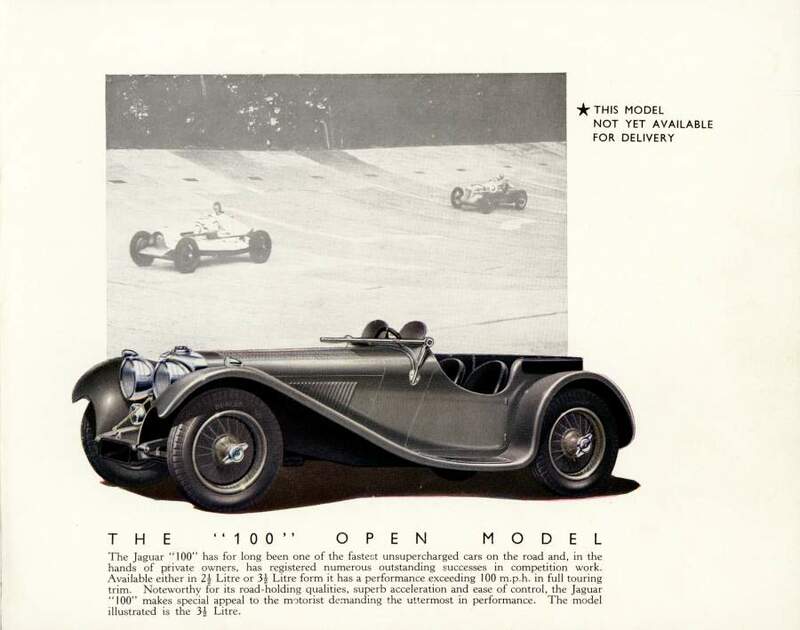 It appears to be the first catalogue produced since 1940 and although similar from the front to the 1940 edition, it is actually smaller and constructed differently. 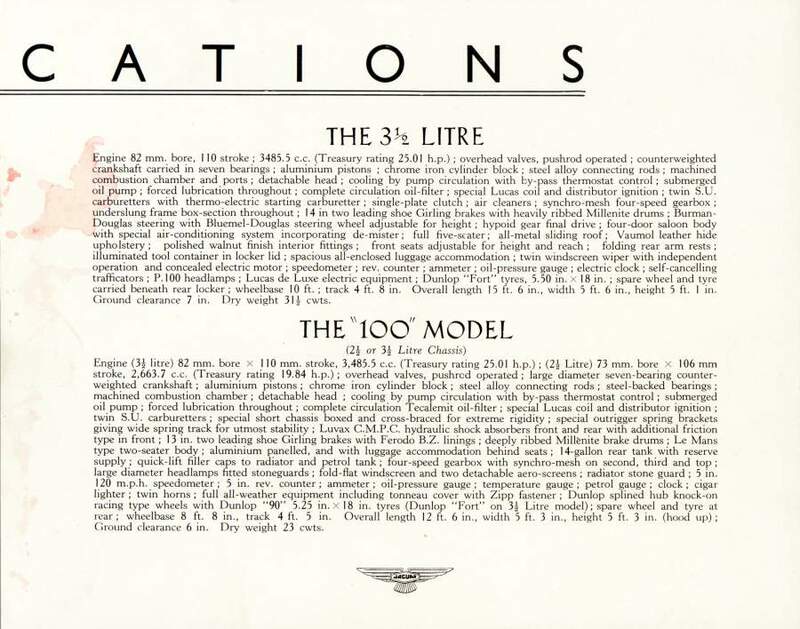 This edition has 8 pages but unfolds from the centre, just like the ?? 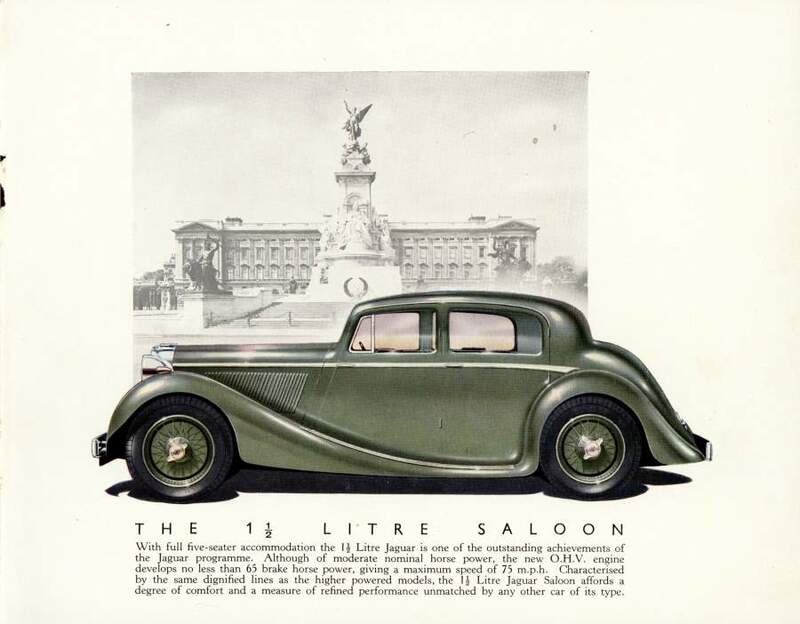 and even uses the same illustrations as one of the larger format 1939 range brochures - these have more colour than the beige 1940 edition had. 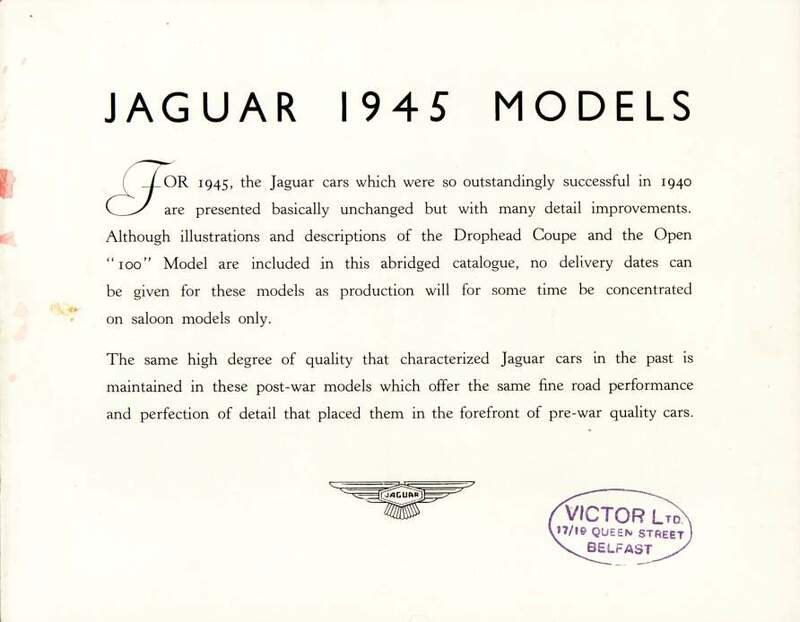 A pointer to the very early date of production may be that nowhere does the catalogue give the company address or refer to either 'SS Cars' or 'Jaguar Cars' as a company. 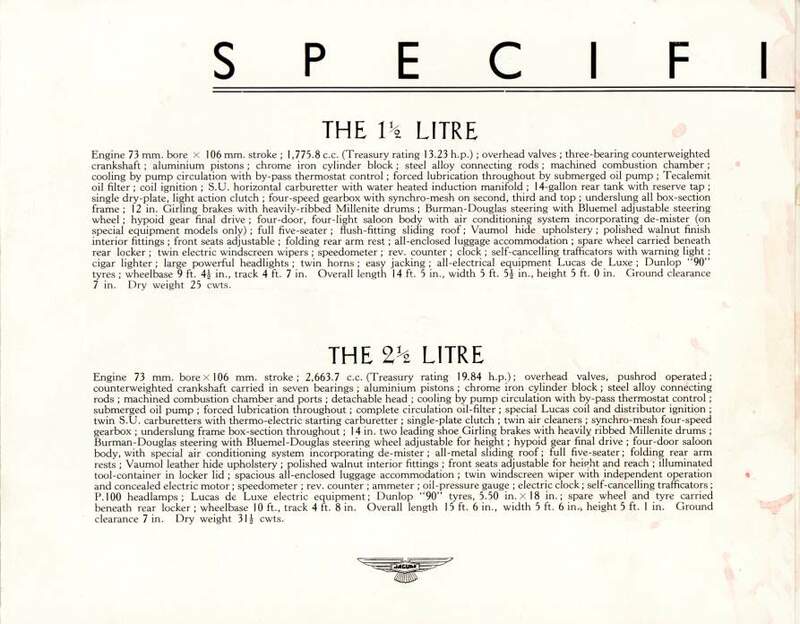 It does refer to 'Jaguar cars' but I believe as the range name rather than the company. 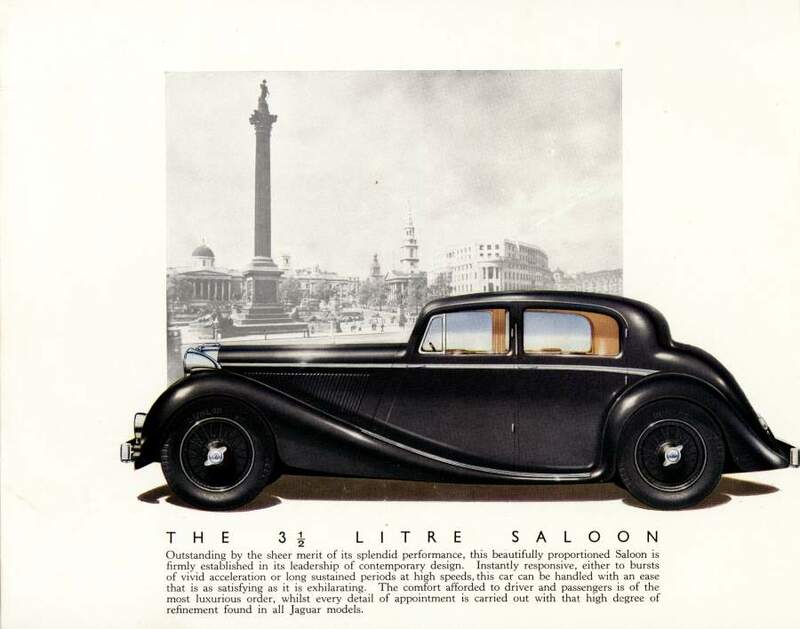 The wheel spinners on the cars still carry the 'SS' logo. 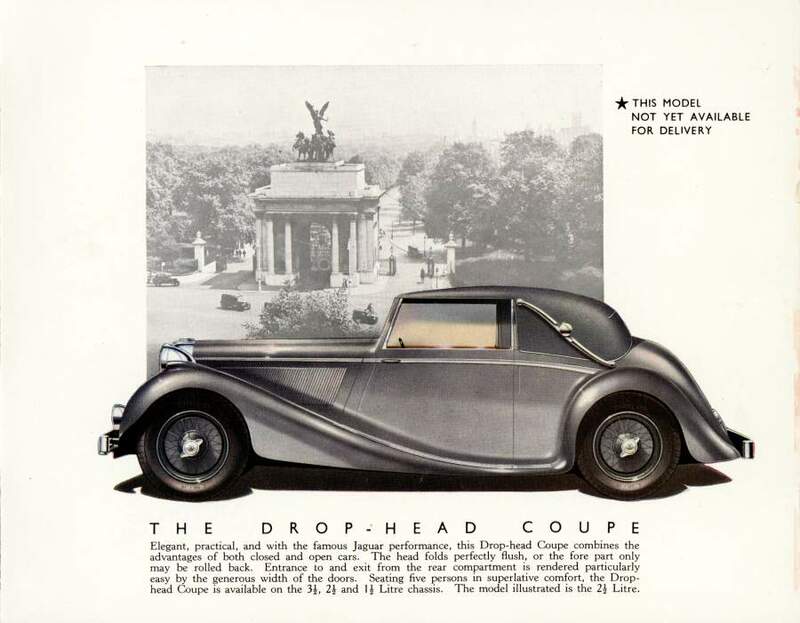 A guess is that the catalogue was withdrawn (although this one obviously got out to an Irish dealer) very quickly after production when the name change to 'Jaguar Cars Ltd' from 'SS cars Ltd' was decided on in early 1945 and that this accounts for the rarity of this piece. 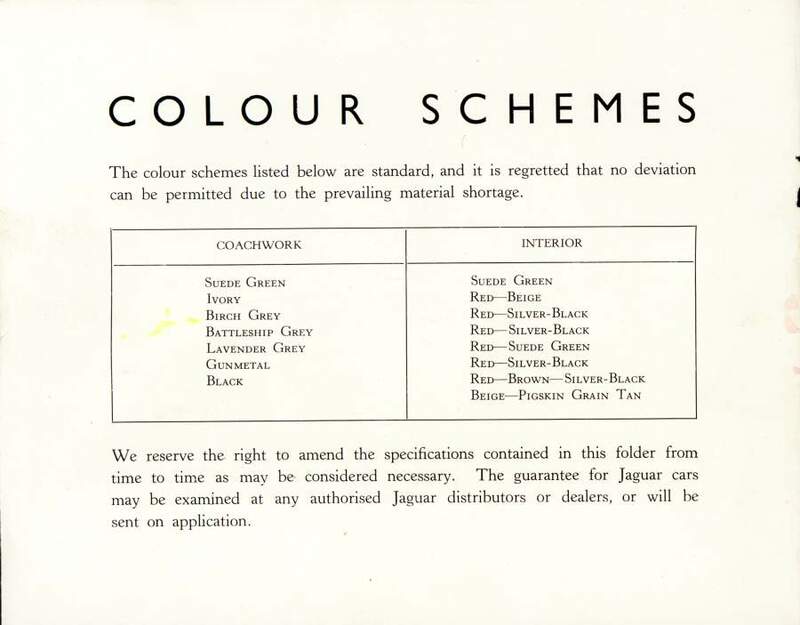 There is no (currently) known later version of this catalogue carrying any specific Jaguar Cars Ltd markings.